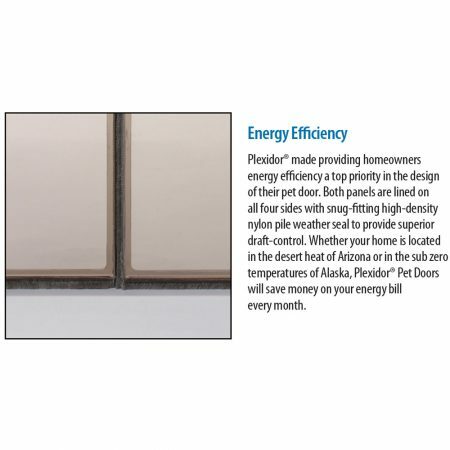 When the pet door application at your home requires the ultimate in convenience and security, the Plexidor® Electronic Wall Mount Pet Door is the choice of people worldwide. 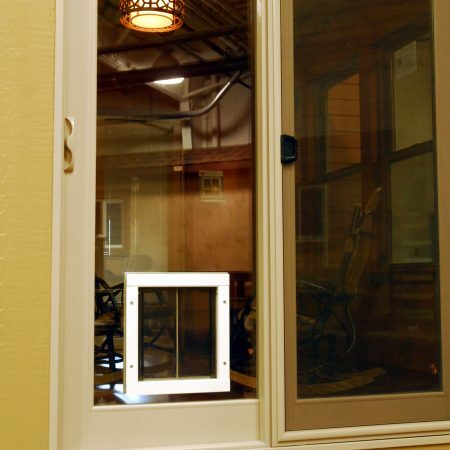 The pet door lets your pets come and go while keeping neighbors pets or wild animals out. 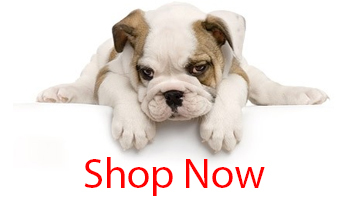 Using state-of-the-art RFID technology, the sensor reads the pre-programmed code in the collar key and automatically opens and closes the door for your pet only. 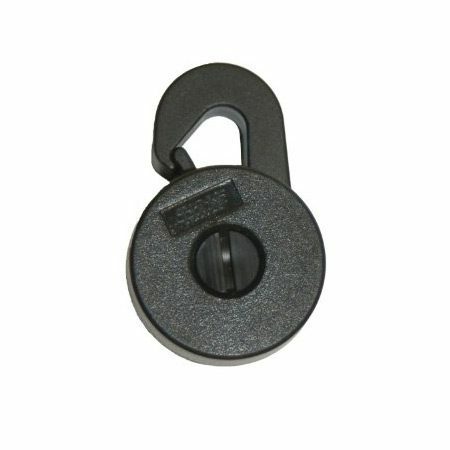 The waterproof collar key weighs only 0.4 ounces and snaps onto your pets’ collar. The collar key does not require batteries. 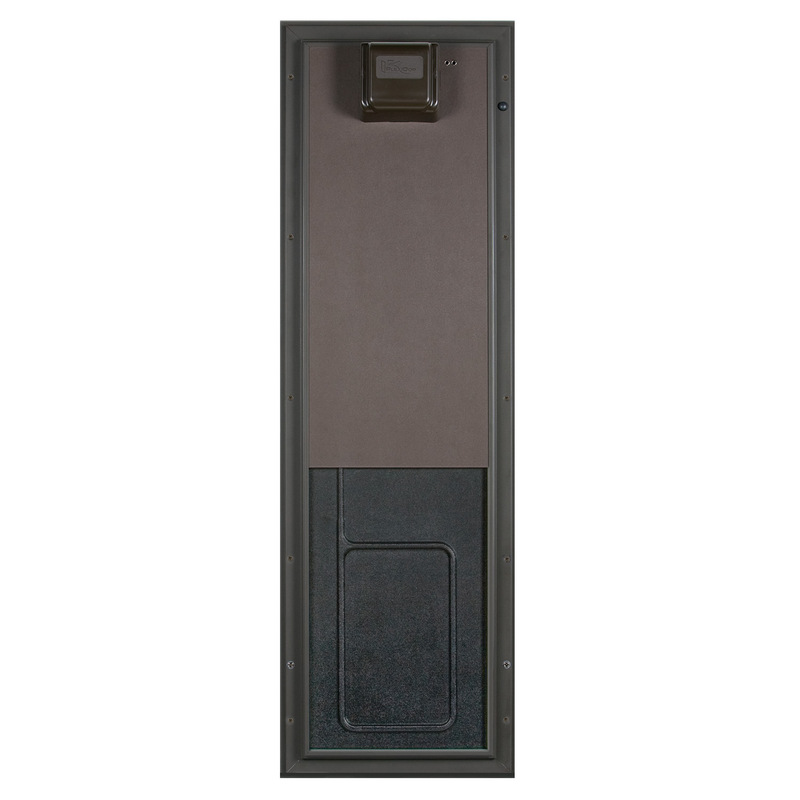 The Electronic door is adjustable to how long the door remains open. This allows geriatric pets’ easy use of the door. 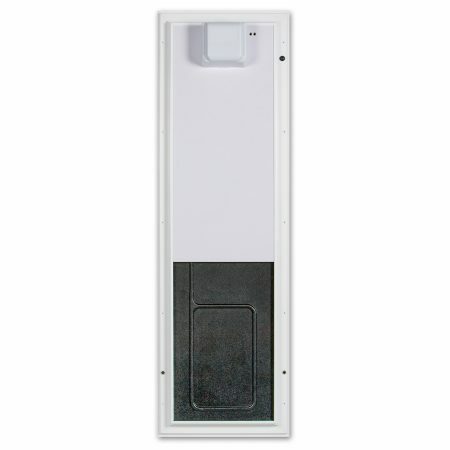 The electronic door plugs into a standard outlet or can be hardwired. It is easy to program and easier to use. It will provide years of enjoyment for your family and pet(s). The PlexiDor® Electronic wall mount can be used on walls up to 12″ thick. The opening size is 12 3/4″W X 20″H. 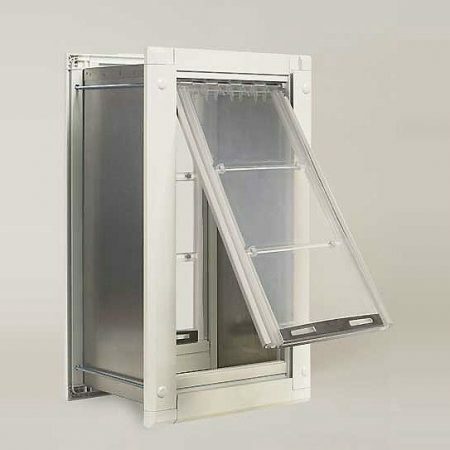 The interior size is 17 1/8″W X 54 5/8″H and the exterior size is 17″W X 24″H. This door is available in white or brown. 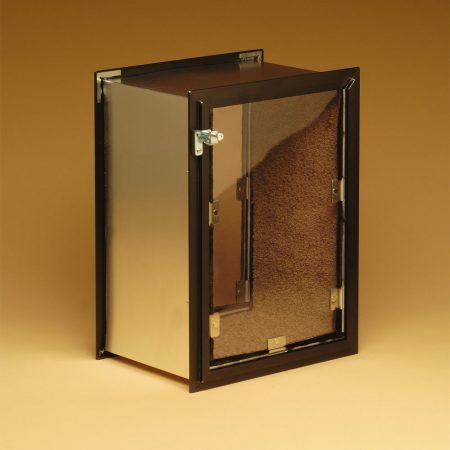 You can use this pet door for an unlimited number of pets. 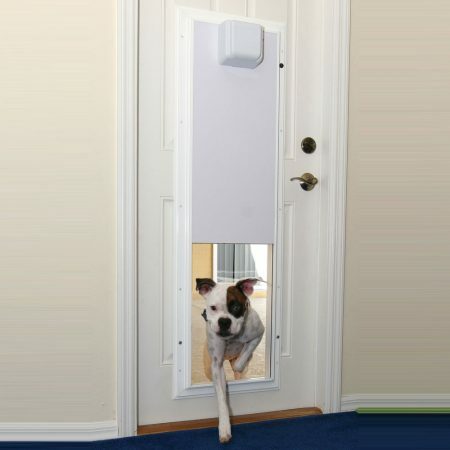 This Electronic Pet Door comes with 2 keys. For more keys please order from Accessories Page.